“iPhone SE is an exciting new idea..."
Apple will offer the eagerly anticipated iPhone SE in New Zealand from today, offering a compact smartphone alternatives to Kiwis across the country. Packing the powerful punch of the iPhone 6s and iPhone 6s Plus, the four-inch display is aimed at smaller smartphone lovers, built in a compact aluminium design with traditional Apple metallic finishes. Unsurprisingly, the smaller device doesn’t compromise on performance, housing the advanced 64-bit A9 chip to provide longer battery life and camera innovations including a 12-megapixel iSight camera, Live Photos and the ability to record in 4K and Touch ID with Apple Pay. “iPhone SE is an exciting new idea,” said Philip Schiller, Senior vice president of Worldwide Marketing, Apple, at the company’s launch event on March 21. “We started with a beloved, iconic design and reinvented it from the inside out. The result is the most beautiful and powerful phone with a four-inch display in the world. At a cost of NZ$749 for 16GB of storage, and NZ$949 for 64GB, the iPhone SE looks to lure the current crop of Kiwis who prefer the more compact smartphone, tempting them to upgrade from previous iPhone models. “The iPhone SE formalises and replaces the legacy iPhone 5 to 6 models with 4-inch screens that have been selling globally already for the past several years,” says Neil Mawston, Research Analyst, Strategy Analytics. Mawston believes that even though the iPhone SE is an “evolution, not revolution” for Apple, the device will help the company to grow slightly this year, and bridge the gap until the next iPhone 7 launch later in 2016. “But it is not a revenue blockbuster for the company,” he adds. 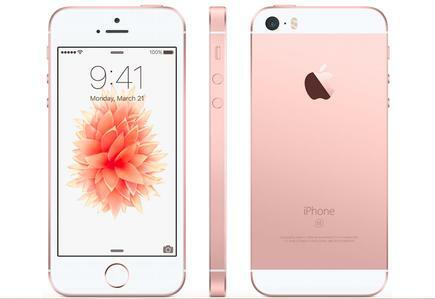 For first time iPhone buyers however, the iPhone SE with 64GB of storage is seen as a viable entry to the market, providing the capabilities of high-end smartphones traditionally priced at over $1000. The iPhone SE takes a traditional iPhone design and essentially reinvents it from the inside out, giving customers a powerful, full-featured iPhone no matter which model they choose - this could provide compelling for Kiwi buyers. Despite the significantly cheaper price range, the 64-bit A9 chip, introduced in iPhone 6s and iPhone 6s Plus, offers iPhone SE customers two times faster CPU and three times faster GPU performance compared to iPhone 5s, all with gains in energy efficiency for improved battery life. M9, Apple’s next-generation motion coprocessor, is integrated into A9 allowing more features to run all the time at lower power, including “Hey Siri” without having to pick up your iPhone, and a range of fitness tracking capabilities like measuring your steps and distance. Further enhancements include the ability for iPhone SE users to browse, download and stream content even faster with Wi-Fi up to three times and LTE up to 50 percent faster than iPhone 5S. In addition, the iPhone SE also includes more LTE bands for better worldwide roaming and supports Voice over LTE and Wi-Fi calling for high-quality wideband calls. But perhaps the winning deal is the camera, providing serious bang for Kiwi buck with the majority of technology derived from the current iPhone 6S model. 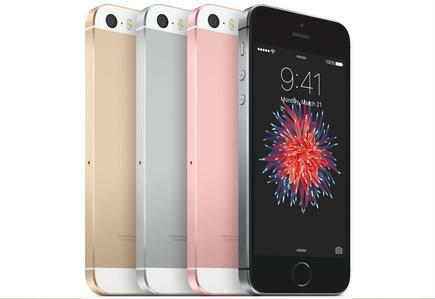 For the iPhone SE has an advanced 12-megapixel iSight camera featuring Focus Pixel technology for fast focusing, an Apple-designed image signal processor, advanced noise reduction, third-generation local tone mapping and better face detection, all resulting in sharper, more detailed photos like the ones shot on iPhone 6s. With Live Photos on iPhone SE, Kiwis can now go beyond snapshots to capture moments in motion and relive memories with sound. Additional camera advancements include the ability to shoot HD video with support for 4K at a resolution of 3840 x 2160, Retina Flash, True Tone and up to 63-megapixel panorama photos, video capture up to 60fps for 1080p video and 240fps for slo-mo, time-lapse with video stabilisation and cinematic video stabilisation. In New Zealand, the iPhone SE will be available in space gray, silver, gold and rose gold metallic finishes in 16GB and 64GB models starting at from Apple’s retail stores, Apple.com, Apple Authorised Resellers and select carriers. As previously outlined, the 16GB and 64GB models start at NZ$749 and NZ$949 respectively, and will also be available from 2degrees, Spark and Vodafone.